There is a growing consensus amongst researchers and policy makers that development and security are closely linked. Poverty and underdevelopment increase the risk of violent conflict and contribute to other forms of armed violence. This is clear in Africa where factors linked with underdevelopment such as weak state capacity, horizontal inequalities, and livelihood and resource pressures, contribute to conflict and insecurity. 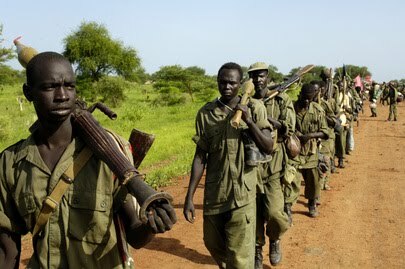 On the other side of the coin, conflict and armed violence contribute to poverty and undermine development, for instance by destroying livelihoods,causing displacement, and disrupting economic activity and service provision. 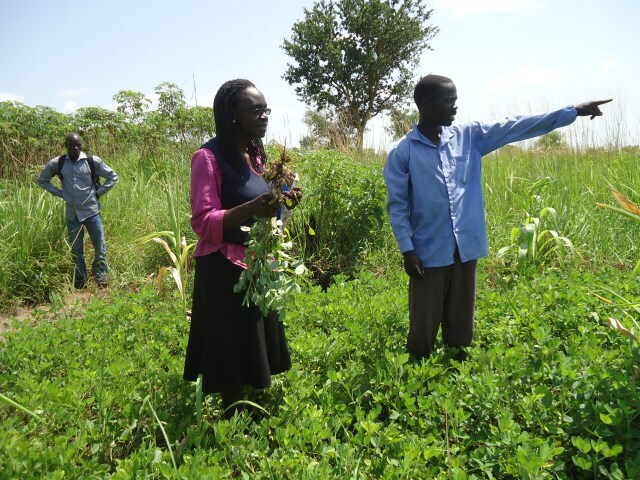 This is the second in a series of land studies for northern Uganda, whose core objective is to inform the Plan for Recovery and Development of Northern Uganda (PRDP) and the National Land Policy. It builds on the work of the first phase conducted in Tesoregion to present a more quantitative analysis of trends on disputes and claims on land before displacement, during displacement and emerging trends or occurrences on return for Acholi and Lango sub-regions. Since the UCICC first embarked on its regional sensitization workshops in northern Uganda in 2005, to create awareness of the International Criminal Court (ICC) in Uganda. 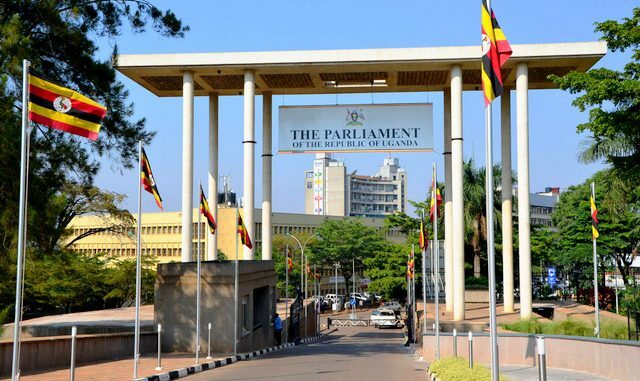 The coalition has received mixed reactions from different sections of the Uganda public who have either been direct victims of the conflict or have not been affected at all by the conflict. 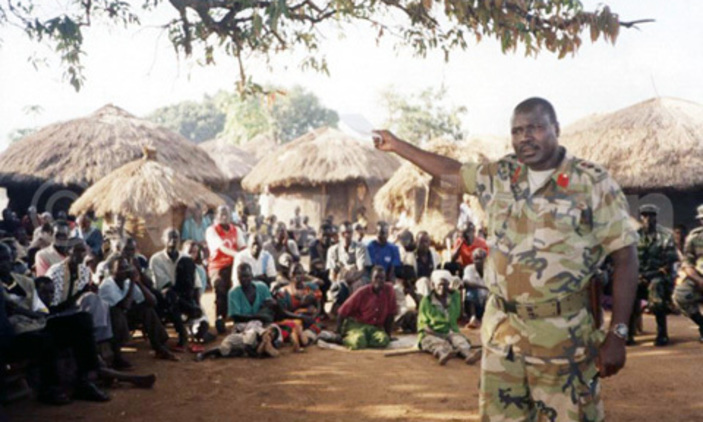 For a while now debates in some sections affected by the conflict have been advocating for Mato oput as a direct alternative to the international Justice mechanism, that would like the Lords Resistance Army (LRA) to hold account for the various human rights violations that they visited upon the innocent people of northern Uganda. 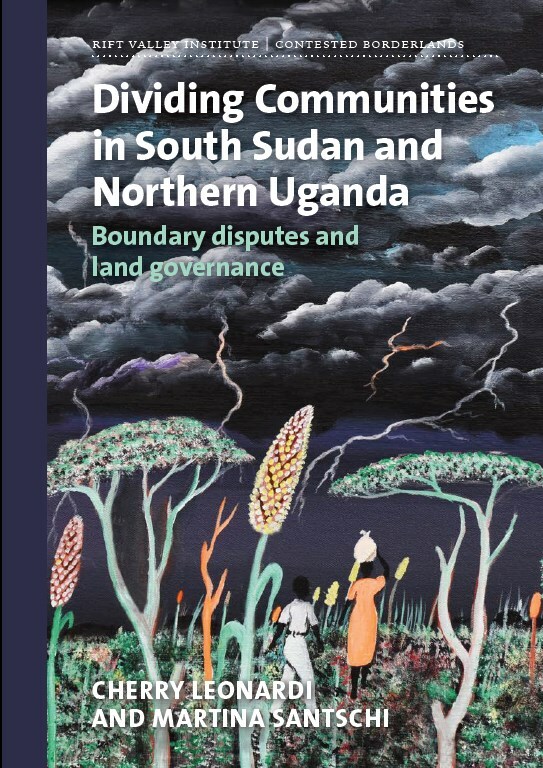 This chapter presents the historical background to and context of this research, beginning with a discussion of the development of the conflict in northern Uganda and the conflict itself, in addition to the intimate and lived experiences of the war. 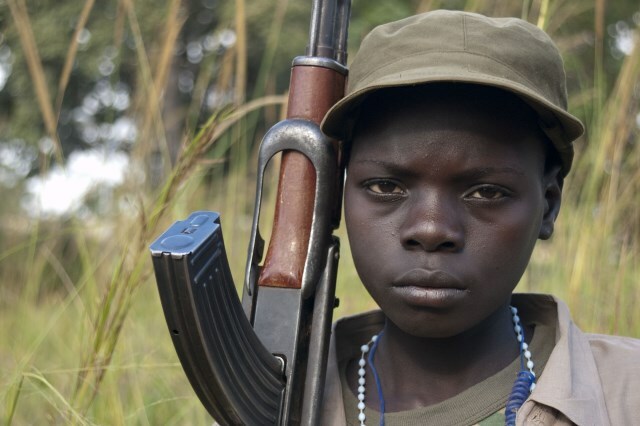 Finally, we will discuss the use and involvement of children in the northern Uganda conflict, with the goal of showing how the involvement of children in conflicts makes their lives difficult, destroys their sense of citizenship and thus justifies the need for reintegration. In the Great Lakes region of Africa, land isat the center of people’s livelihoods andidentity. Land scarcity and ownership are keydrivers of violent conflict in the area, oftenmitigated by local mediation mechanisms. Northern Uganda has been beleaguered with political unrest and rebellion for over two decades.The Lord’s Resistance Army (LRA) has wreaked havoc on the entire northern population,causing lives to be lost and leaving a stain of physical and mental trauma that will last forever.Children, having been the most affected during the war, are still feeling the influence that theLRA has left behind. This study sets out to try to understand the phenomenon of street childrenin post-conflict northern Uganda, specifically in Gulu Municipality. 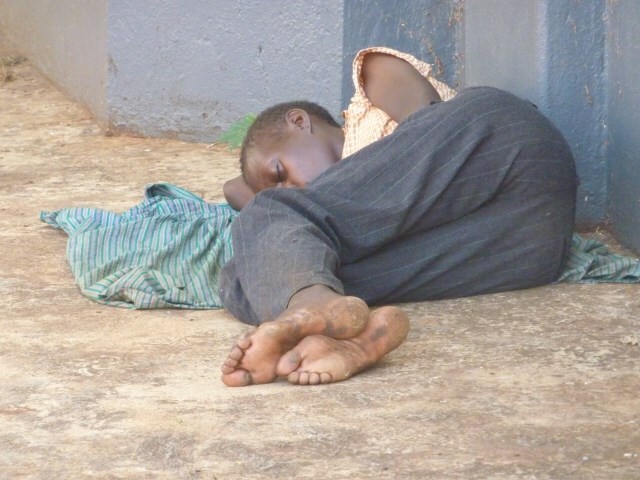 The phenomenon of streetchildren is considered to be one of the most prevalent issues in the developing world thatdemands to be addressed. The problem needs to be understood, attended to, and solved, lest itcontinue to threaten many societies in developing countries around the world. In 2007, the Intergovernmental Panel on Climate Change (IPCC) projected that rising global temperatures will contribute to an upsurge in severe storms, floods, droughts, glacier melt, and sea level rise. Such climate-related events clearly have the potential to impede or reverse economic development and generate humanitarian crises in vulnerable areas of the developing world, but will climate change also lead to conflict? From 2007 to 2009, a series of well-publicized policy studies addressed this question and concluded that there is a strong likelihood that the natural hazards and environmental stresses associated with climate change will have destabilizing social and political consequences and trigger or amplify conflict. One academic study published in the Proceedings of the National Academy of Sciences analyzed historical linkages between civil war and temperatures in sub-Saharan Africa and suggested a 54 percent increase in armed conflict incidence by 2030. Only a few studies took a more nuanced and skeptical view of the climate-conflict linkage. 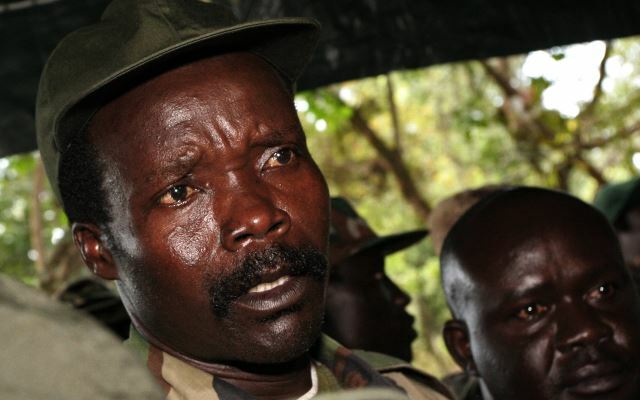 The article examines a recent conflict in Uganda’s cattle corridor. 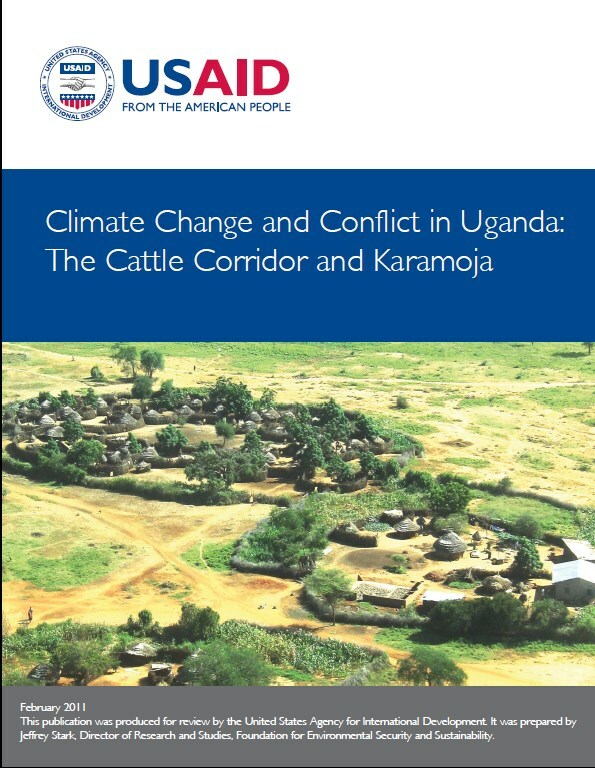 The current common pool resources (CPR) comprising the grazing land in western Uganda is the centre of conflict as the increased population and the activities of the pastoralists have created tension and insecurity among the communities. The cattle corridor has experienced a transition process from public good characterised by non-rivalry and non-excludability to common pool resources (CPR) defined by subtractability over the last centuries. Conflict and insecurity are disproportionately concentrated in Sub-Saharan Africa, a region which relies extensively on agriculture. While the literature discusses the impact of insecurity on agricultural decisions, this has been directly been empirically tested only once. This study builds on the previous literature by examining the impact of conflict risk on livestock and crop portfolios. 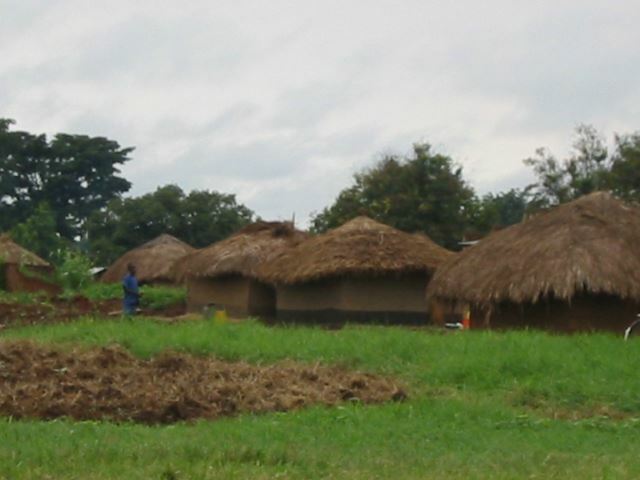 Uniquely, the study uses a sample of over 690,000 households, approximately 75% of all rural households in Northern Uganda. I find strong changes in the composition and size of the livestock portfolio and in the choice of crops. These changes are not due to shifting sources of income; households remain just as reliant on agriculture. The analysis suggests that shifts in the composition and levels of assets are one of the primarily paths by which insecurity and, more broadly, conflict affect agriculture and lower welfare. 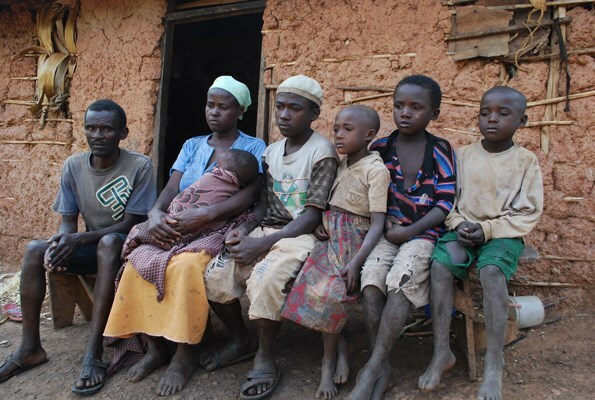 Uganda’s dualist land tenure system is a root cause of conflict over landuse and ownership. 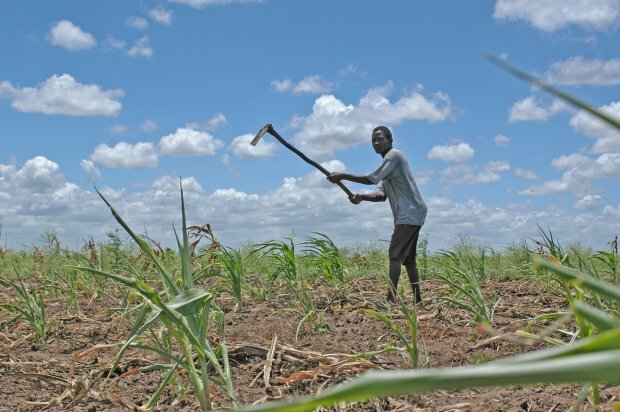 The current land tenure laws facilitate land alienation, threaten livelihoods and contribute to food insecurity. There is growing interest in fragile states and contexts in development policy, and a growing literature on the impact of conflict and instability on development and poverty reduction. Much of the focus is on the immediate impact of conflict on people’s safety and livelihoods. But what about the long-run, or intergenerational, impact of conflict? 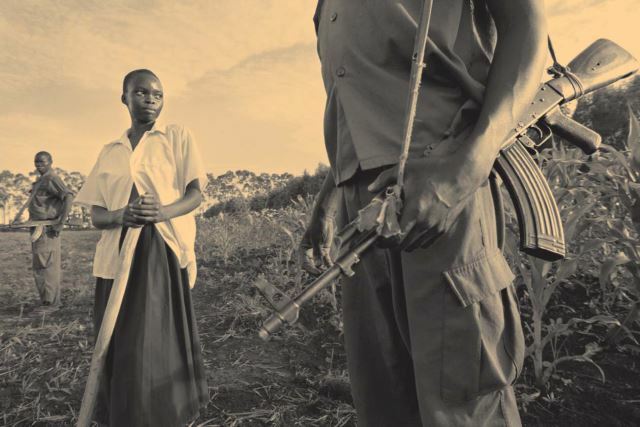 Contextualizing Conflict in Northern Uganda is a multidisciplinary course designed to offer students the contextual and contemporary circumstances surrounding conflict in Uganda, exploring social, political, economic, cultural, linguistic, and ecological issues. The course examines issues of national and ethnic identity and the role of these constructions in conflict. In addition to the main focus on Northern Uganda, the course provides a comparative approach to conflict in the region. 15 of the world’s 20 poorest countries have endured violent social and political conflicts since the 1980s (Bezar & Mohammed, 2009). Conflicts contribute to poor public health and hinder health system development. These countries include Uganda, Zimbabwe, Cambodia and Sierra Leone, which are at different levels of recovery. While Cambodia and Sierra Leone have been recovering from conflict since 1991 and 2002 respectively, northern Uganda and Zimbabwe are still in the early stages of recovery. 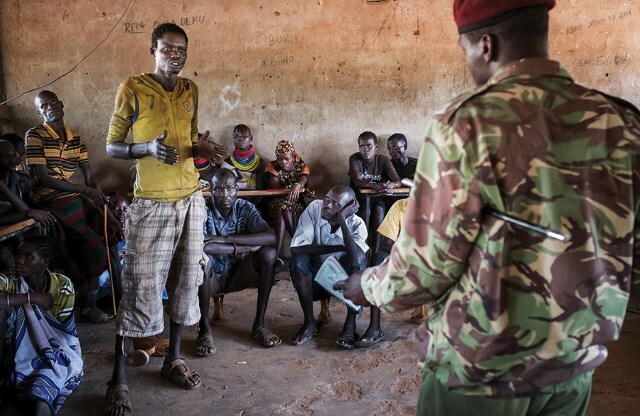 This case study will analyze the nature of cross-border conflicts and deterrence measures in the Horn of Africa with a focus on the pastoral communities of Pokot, Turkana, and the Karamojong. 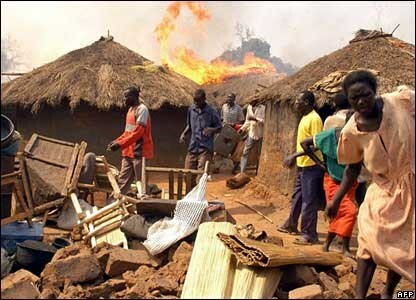 These communities in northwestern Kenya and eastern Uganda are under intolerable stress and they are involved in a violent struggle to survive. While insecurity in this area is often characterized as arising from competition over scarce resources, there are broader dimensions to local conflicts. Many people in South Sudan and northern Uganda—like others around the world—see boundaries and borders as a potential source of clarity, security and conflict prevention. Political and economic ambitions, along with fears of discrimination or exclusion from land lead to the promotion of more rigid boundaries, both on the ground and between groups of people. The prevalence of such discourse reflects a picture first imagined by colonial officials, in which the peoples of this region live in discrete ethnic territories, organized into patrilineal descent groups and governed by their own decentralized administrations. In such a picture, it might indeed seem that demarcating clear boundaries and borders between various territories would resolve the tensions and conflicts that surround them. 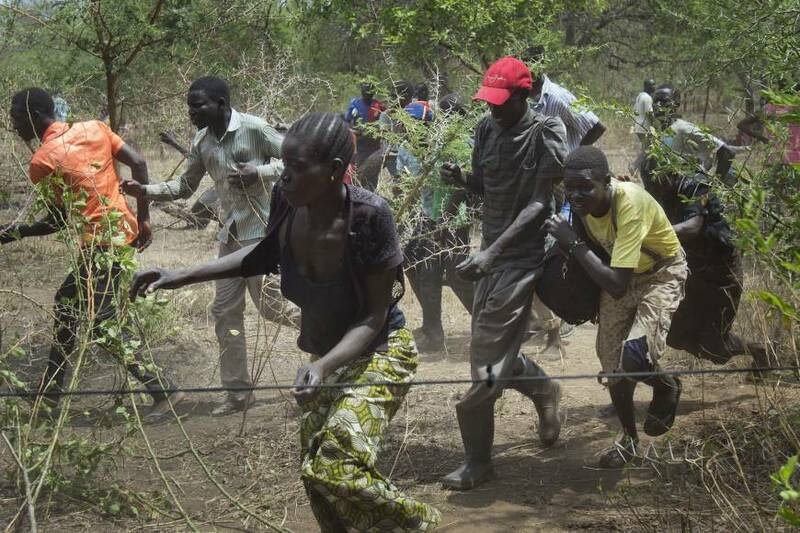 Conflict and instability trends in East Africa continue to make it one of the most unstable regions in the world. 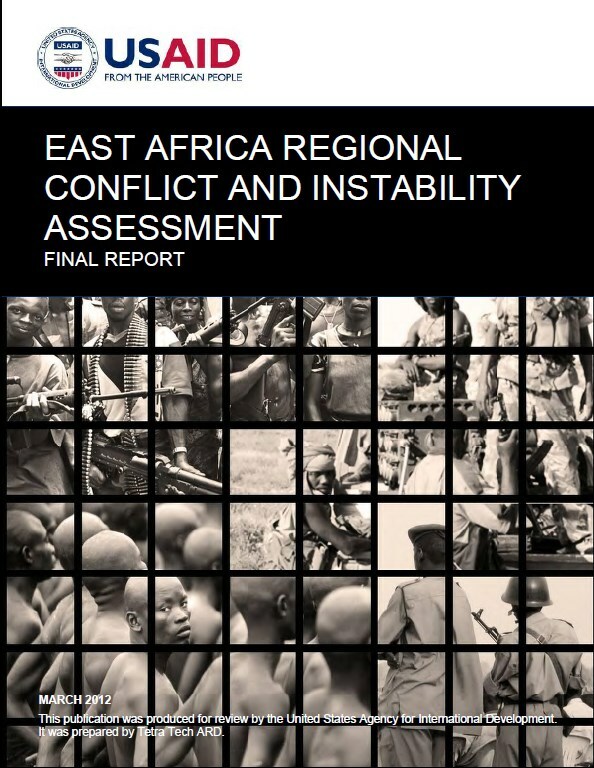 Significant portions of East Africa remain unable to break free of the lethal cocktail of armed conflicts, violent crime, extremism, communal violence, political instability, and state failure that has plagued the region for decades. Most of East Africa‘s zones of armed conflict and instability today are concentrated near border areas; pose a major risk of spillover; and feature powerful crossborder drivers, interests, and actors. In recent years, regional governments have made a much greater effort to police their borders, and their renewed commitment to address transborder conflict issues constitutes an important window of opportunity. However, few regional states have the capacity to effectively administer their remote, expansive border areas. As a result, much transborder conflict management and prevention falls on the shoulders of local communities and local authorities, in partnership with central governments and interstate regional organizations. The resilience and adaptability of this collection of local and regional actors are critical factors in determining whether, and to what extent, crossborder conflict and instability issues are successfully managed. The Journal of Peace and Security Studies (JPSS) is a new peer-reviewed electronic and print journal, published by the Institute of Peace and Strategic Studies (IPSS) of GuluUniversity, Uganda. 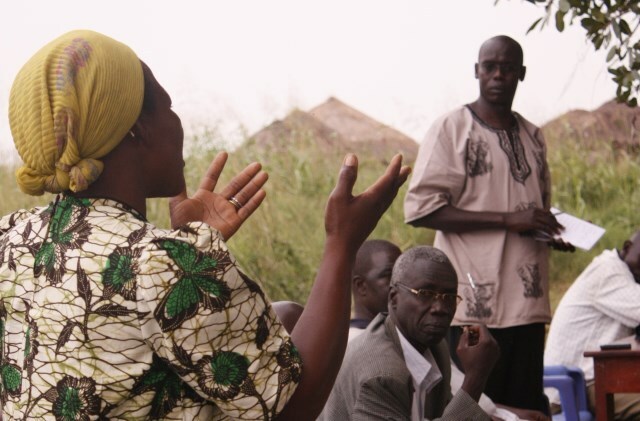 Despite progress made to address land-related legislative issues, the land sector in Uganda faces several challenges that include insecurity of tenure, overlapping and conflicting land rights, and glaring inequity in access to and ownership of land. Conflicts that are a consequence of colonial legacy are exacerbated in the majority of cases by competition over access, use and transfer of scarce land and natural resources, ever increasing population densities, largely driven by the high population growth rate, unsustainable agricultural practices, and policy and institutional weaknesses.